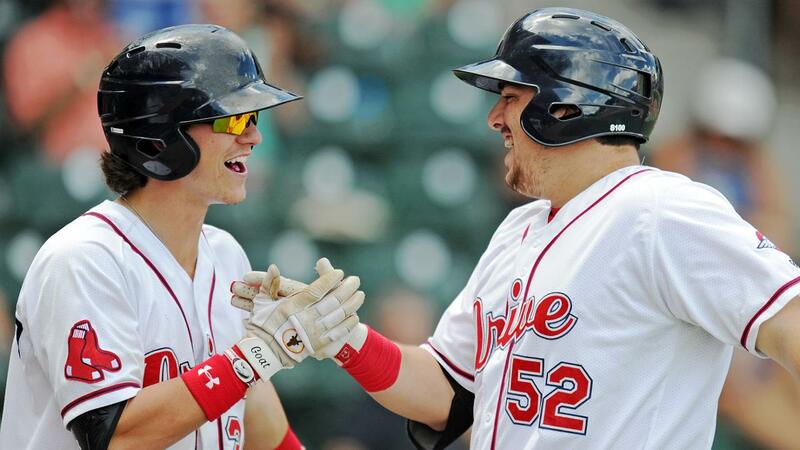 Greenville, SC - The Greenville Drive ended the 2018 season on a winning note with a 6-4 defeat of the Lexington Legends on Monday afternoon at Fluor Field. After falling behind in the top of the first, the Drive (39-31, 64-75) took a 2-1 lead in the bottom of the second inning when Zach Sterry belted a 402-foot solo home run to right center field and Kervin Suarez lined an RBI double to left field off Garrett Davila (7-7). Lexington (39-29, 76-60) came back to tie the game at two on an RBI single by Cal Jones in the top of the sixth, but the Drive responded with three runs in the bottom half to retake the lead. Sterry plated Jarren Duran with a single to put the Drive back ahead, and a Lexington error followed by a Ryan Fitzgerald RBI double extended the lead to 5-2. Once again, the Legends made things interesting with two runs in the top of the seventh on RBI hits from Ricky Aracena and Manny Olloque, but the Drive responded when Tanner Nishioka singled home a run in the bottom half. Nishioka finished the four-game series 7-14 at the plate with three home runs and 12 RBI. Alex Scherff gave the Drive a solid effort in his final start. He allowed a solo homer to Nick Pratto in the top of the first but no other runs the rest of the way, and he finished with six strikeouts over five innings. Dominic LoBrutto (3-0) got the win with an inning and two-thirds of scoreless relief, and Devon Fisher pitched a perfect ninth to record his eighth save. Sterry went 2-3 with a pair of RBI in the victory, while Duran and Suarez added two hits each. The Greenville Drive's 2018 season is now complete. 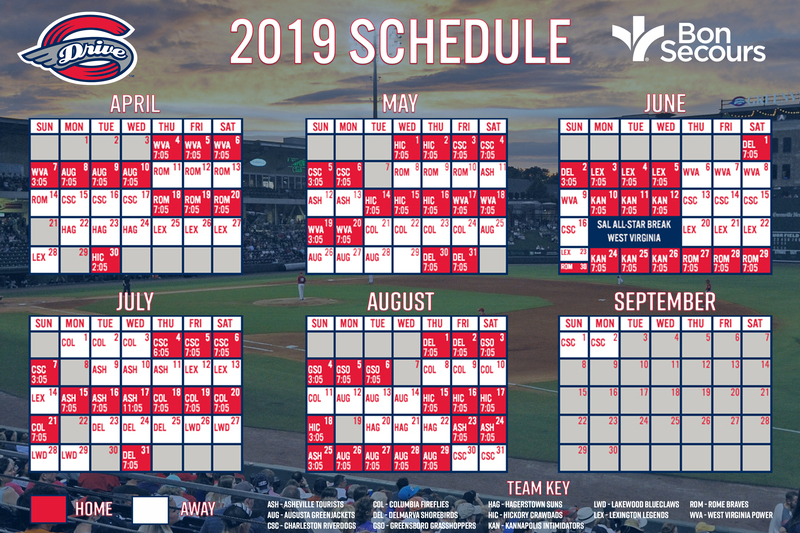 Over 313,000 fans visited Fluor Field during the Drive's 13th season in Downtown Greenville, and the Drive would like to thank our fans, as well as our players, coaches, sponsors and media for their support in another great year.